Cary, NC – With the Autumn temperatures starting to come in, now is the perfect weather to enjoy hot and spicy chili. 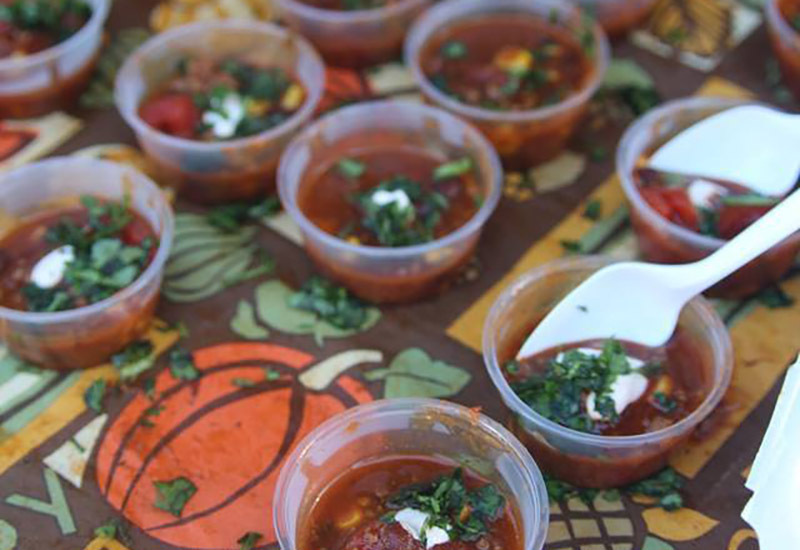 This Sunday, everyone will have a chance to get some of the best chili in the region as the Triangle Chili Challenge returns to Downtown Cary. This Sunday, November 12, 2017 starting at noon, the Third Annual Triangle Chili Challenge will kick off at Ashworth Village in Downtown Cary. Jessica McCarthy, the event’s organizer, said this year’s will be larger than ever, with between 15 and 20 chefs registered so far to make the best chili they can in hopes of taking home a trophy. Also this year, the way the competition approaches charity is different, with all guests asked to donate $1 when entering and all that money will be collected together. Visitors will also be able to take part in various raffles and the entire event is supported by sponsors in Downtown Cary, including Crosstown Pub and Grill, Fresh Local Ice Cream, Pharmacy Bottle + Beverage, Creative Images, Cary Pottery and the Humble Pig, which McCarthy also runs. The competing chilis are made by chefs from all around Cary and some from other parts of the Triangle, as well as other groups such as the Cary Police Department and Cary Fire Department. “Get in as soon as you can because we’re expecting more people than ever and sample cups may run out,” McCarthy said. Ashworth Village, 200 S Academy St.
To read the full story, go to FoodCary.com. Story by Michael Papich. Photos courtesy of the Triangle Chili Challenge. Coverage on CaryCitizen is sponsored in part by Thai Spices & Sushi.